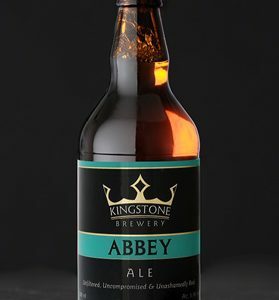 500ml bottles: Humpty Dumpty has made several appearences in history: as a cannon at the Siege of Colchester in the English Civil War; an ‘egg-otistical’ pedant in Alice Through the Looking Glass; and of course, the unfortunate star of a nursery rhyme. In most cases poor Humpty was left in pieces, though probably not from over-indulgence in this ale! Contrary to popular belief, IPAs (Imperial or Indian Pale Ale) have always been of a higher ABV than domestically sold ales. The high alcohol content and ‘overhopped’ nature of these export beers enabled them to survive their long sea passage to distant shores. Our IPA, dangerously smooth at 5.8% ABV, is a warming, oaky-smoky tipple. 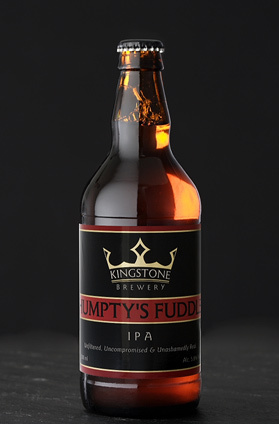 Humpty has a slightly sweet floral nose, a balanced level of malt supporting the hops and finally a subtle but slightly citrusy finish.